A young boy dreams that he has superhuman strength. But is it real or a dream? Svend Stein-Angel was born in 1971 and studied Film Direction at the Academy for Television & Film (HFF/M) from 1994-1998. Since 1995, he has produced and directed several short films, presented at international festivals. 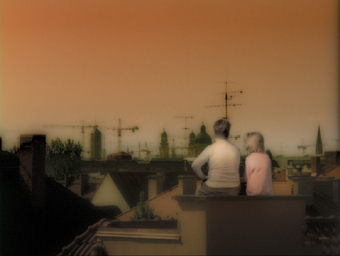 His latest short film Der Durchbruch was awarded the Max Ophuels Award in Saarbruecken in 1999.